All Mail to: W.S. Emerian Trucking, Inc. Established in 1970, Emerian Trucking is a family-owned freight forwarding company dedicated to providing the most reliable service in the industry. All drivers and shop personnel are employees of ours. We never use owner operators or independent contractors; you can be sure of reliable, top quality service from the pickup right through the delivery. Here at Emerian Trucking, we pride ourselves on the close relationship we maintain with our clients. We treat our customers and their shipments with the care and attention they deserve. With over 40 years of experience, we service all of California with an emphasis on the Los Angeles/ Sacramento/ and San Francisco areas. We feature full truck load service, LTL service, flatbed hauling of fabricated structural steel, and steel coils, including wide and oversize hauling. All of our trucks are 2011 or newer and we are an independent maintenance station, which means that getting your shipment from point “A” to point “B” will go off without a hitch. We provide fast/safe/cost effective truckload, flatbed service in California for hauling fabricated structural steel, rebar, steel coils and window glass with our fleet of over 70 flatbed trailers. We offer fast and reliable drop-trailer service; we will drop a trailer at your facility for you to load in advance, and at your earliest convenience. When you are ready, we will pick up your loaded trailer and drop off any empty one for the next time. Supply is never a problem as we have four empty trailers for every full one available. We use the best equipment and computerized tracking system so your shipment can be located at any time while it is in transit. 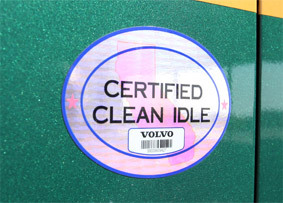 We are "carb" certified in California to comply with the new state regulations. 2693 South Chestnut Avenue Fresno, CA. 93725 (East side of Chestnut just south of Jensen Ave. Copyright © 2019 W.S. Emerian Trucking, Inc.